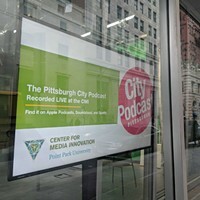 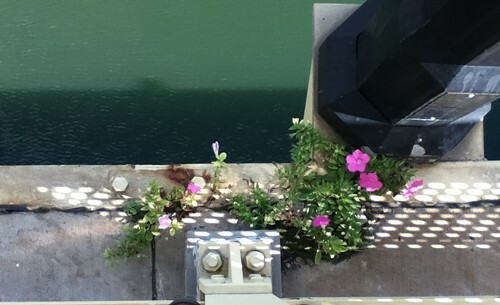 This is the third summer for these flowers, growing wild on the outside ledge of the Roberto Clemente Bridge. I've been watching them each summer, beginning two years ago with a single flower growing from a bit a moss the size of a thumb to this year's healthy spread. All I can figure is that they've become self-sustaining: As the plants die and decompose in winter, they create that much more organic matter for even more flowers to bloom in the following year.